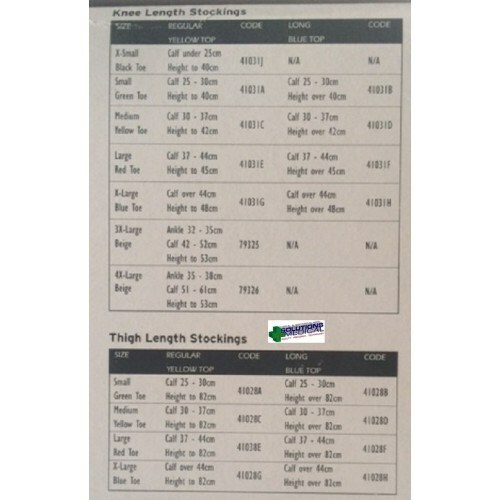 The OAPL Anti-Embolism Stocking comes in thigh-high or regular and long, small, or extra large. 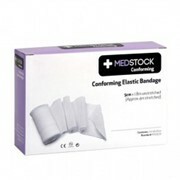 You have been fitted with a pair of graduated compression stockings. Compression stockings provide support and aid in venous (blood) return. The stockings are graduated to move fluid only toward the heart. The stockings compensate for the inefficiency of your veins or lymphatic system in moving fluid and blood back to your heart. Compression stockings come in various compression ratings and styles to cope with different conditions and severity. 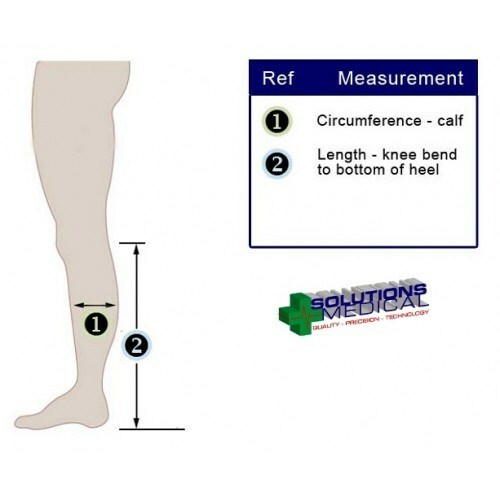 Your Orthotist will have measured you and fitted you with the correct size and style according to your specific requirements. Stockings should be fitted first thing in the morning and removed before going to bed at night. There are several ways to put stockings on and your orthotist will show you the best way for you. Place your hand into the top of the stocking and run your fingers down to the heel. Pinch the heel with your forefinger and thumb. With your other hand pull the leg section of the stocking inside out whilst holding the heel in your fingers. With the heel under your foot draw the stocking foot onto your foot until it reaches the front of your ankle. Ensure that the heel is in the correct place. 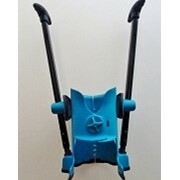 Gather the leg section of the stocking up and fold back over the toes and gradually pull up the leg evenly. Avoid twisting the material, pulling it at the edges, or stretching the stocking along its length. Note: If you have overstretched the stocking push it back down to the ankle, then pull it up again a little at a time, not stretching it too far. Check that the top band of the stocking is smooth and flat. Under no circumstances is it to be rolled or folded over. Smooth out all wrinkles by running your palm over the stocking. Note: Below knee stockings should sit about 3cm below the crease in the back of your knee. Placing a plastic bag over your foot before pulling the stocking on (this is only possible for open toe garments). Wearing rubber gloves (used for washing dishes) to help you grip the stocking. For moist skin use talcum powder to help the stocking glide over the skin. Ask for assistance from a relative or a friend! Also available are silky slips (instead of plastic bags) and special frames to aid in putting stockings on. 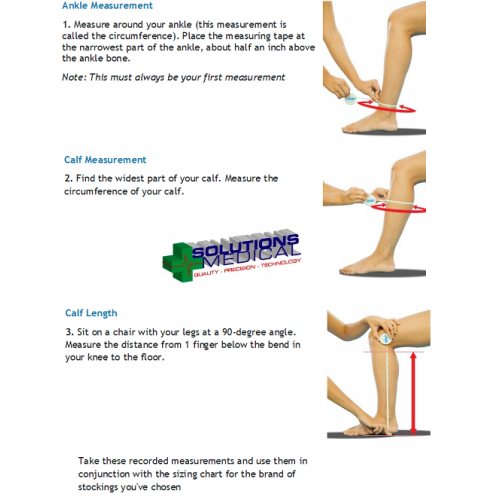 Your orthotist will suggest these options should you require them. Stockings are best washed by hand in warm water with mild soap (eg wool wash) and rinsed in clear cold water. Do not use bleach? Roll stocking into a towel and gently squeeze excess water out. Dry in the shade or indoors. Avoid sunlight or direct heat. The stockings must not be ironed or tumble dried. Do not hang stocking from toe or top as it may stretch, instead lie it flat on a dry towel. Stockings are best washed each evening before bed and should dry by morning. However it is recommended to have a spare stocking to wear on alternate days. Although stockings are quite strong be careful of sharp finger nails and rings! To avoid damaging the stocking use rubber gloves when putting the stocking on. Stockings should always be worn with shoes to protect the stocking and prevent you from slipping. To increase durability, socks can be worn over the top of the stockings. Ensure that footwear is in good condition on the inside since a defect in the shoe lining may increase friction and quickly lead to damage of your stocking. Please DO NOT repair the stocking yourself. 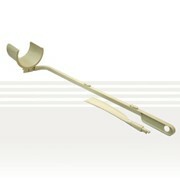 If a defect occurs contact your orthotist. Over time stockings begin to stretch and will no longer provide adequate support. At this time they will probably need replacing. We usually recommend that patients be remeasured for subsequent / replacement pairs of stockings as your legs may have less swelling or sizing may have changed.